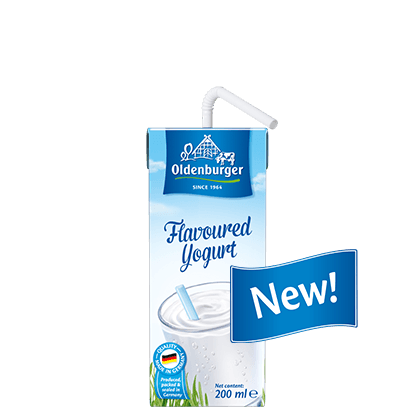 Oldenburger Flavoured Yogurt is a high quality yogurt drink made from pure cow’s milk and simple yogurt ingredients, with a genuine yogurt taste and a creamy texture. Oldenburger's quality recipe guarantees that it is free of flavourings, preservatives and colourings. In a convenient 200ml format with a straw and ambient storage options it is perfect for on-the-go. 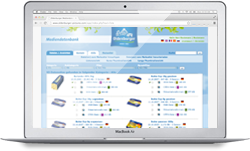 Oldenburger Flavoured Yogurt is 100% produced, packed & sealed in Germany. milk, sugar, modified starch E1422, stabiliser pectins E440, gelatine, lactobacillus bulgaricus, streptococcus thermophilus. Learn more about yogurt, its nutrition and storage in „all about dairy".